Innovative hydrophobic windshield coating that lessens the bond between water and glass. Raindrops are pushed off the windshield by crosswind that occurs while driving. 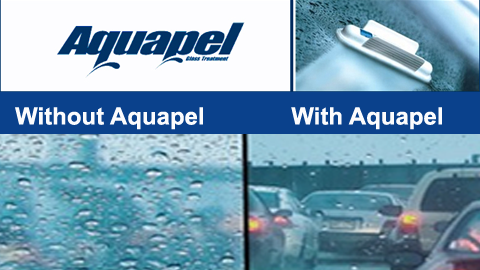 Aquapel gives better visibility during rain and lengthens the life of windshield wipers, because of less usage. Coating stays on for 6 – 12 months, depending on age and type of windshield.